ButeFest is set to receive a �3,000 award from Argyll and Bute Council's third sector grants fund. 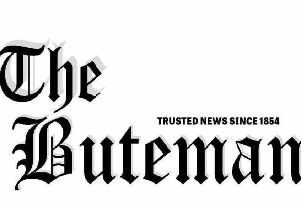 This year’s ButeFest music and arts festival in Rothesay is set to receive a £3,000 grant from Argyll and Bute Council - but the money won’t be handed over until the organisers have paid the money they owe from last year’s event. Members of the council’s Bute and Cowal area committee agreed in principle this week to make the award from the authority’s ‘third sector grants’ fund. The grant will be used to help expand the festival by providing a covered family area for pre-5 children, a Teen Zone, an Arts and Crafts Zone and a Scots Corner. But the committee was told that ButeFest still owes the council £1,841 from the 2015 event for parking enforcement, waste management and hire of the festival venue. Tuesday’s area committee meeting also heard from Sharon Macdonald, the council’s community development officer for Bute and Cowal, that ButeFest has around £7,000 in the bank but that there are still outstanding payments totalling around £9,000. ButeFest director Emma Cooper told the meeting the festival’s financial position was not quite as straightforward as those figures made it sound, since they have to spend money up front to organise the event, but cash from ticket sales through an online retailer is not released until afterwards. Ms Cooper said the organisers were happy to pay back the money owed in instalments, and happy that the £3,000 grant would not be released until the sum is paid. Other Bute grants which were approved at the meeting were £2,500 to Beachwatch Bute to help provide more ‘storage benches’ with beach cleaning equipment, and £1,000 to the local branch of Macmillan Cancer Support towards the furnishing of two palliative care wards at the Victoria Hospital in Rothesay.